100 tags for $99, shipping included! On-Metal Labels: Don’t Limit Your Options. Expect More AND Pay Less. 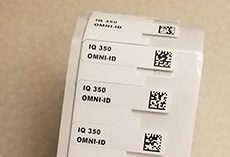 Meet the Industry’s Next Generation On-Metal RFID Labels – the IQ 150, IQ 350 and IQ 600. You spoke. We listened. The result is the highest performing, best priced labels in the industry. • Widest selection of options for optimal printing, encoding or customization! More choices, more product options and more printer compatibility are just the beginning. We understand that your applications have different requirements — from read range to size to printing, encoding and even adhesives and over-laminates. We’ve designed a line of products that not only meet your requirements but raise the bar on what to expect from on-metal labels. Impinj Monza R6-P the standard IC option, and the Monza 4QT a custom option on the IQ 150 and IQ 600, ensure that customers obtain optimal privacy, performance, and memory benefits which address their specific application. 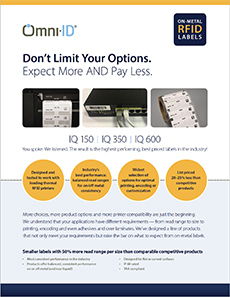 As a next-generation version of this popular product, the IQ 600 is the most balanced product in the market. Its additional flexibility for curved surfaces makes it perfect for tracking a variety of Returnable Transport Items (RTIs), pipes, cylinders and metal racks for manufacturing, oil & gas, energy and other industrial applications. Designed with IT assets in mind, this is the narrowest, printable on-metal label available. 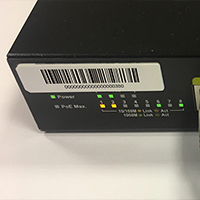 Its balanced performance and perfect size make it the ideal choice for tracking not only IT assets, but also high-value laboratory and medical equipment. With its small size but 3.5 meter read range and broad performance, this tag is an ideal choice in portal applications. The best part — we own the manufacturing process so we boast the most competitive pricing in the market. Bring us a competitive quote for a similar product and we’ll beat it!